Regardless of where you visit, odds are that you will encounter games of chance throughout the world in one form or another. In fact, gambling has been a part of human history for thousands of years and has been around from the time that human beings first developed writing. Although gambling is not legal worldwide, nowadays there are many destinations where visitors and locals alike can enjoy various types of gambling. From lotteries and sports betting to card, dice and casino and specialty games – its permutations stretch from analog games of skill to digital platforms. Country and regional cultures have shaped these gambling trends with online gambling slowly taking the helm in terms of popularity – creating opportunities for both vendors and consumers and connecting a vast community of gamers to the latest games. 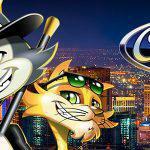 CoolCat Casino wants to look at the most popular games around the globe for one of the world’s most popular pastimes. When settlers first set foot on Plymouth Rock in North America in the 1600s, their strict religious code did not allow for gambling because it was deemed as sinful. The Puritans forbade all forms of gambling, and it would take many years before gambling for recreation or as hobby was allowed. 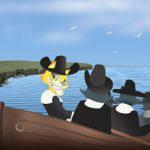 The colonists, in hopes of conquering the New World, avoided games of chance. Ironically, the Lottery of England raised a lot of money used to establish the various colonies throughout the new continent. Animal fights were nevertheless popular and eventually pari-mutuel or pool betting became legal. By the 1800s, with much of the Western frontier still wild terrain, the emerging U.S. states slowly began changing perspectives on gambling. The local watering holes and bars throughout the dusty towns doubled as bingo and dice halls. The card game Faro, similar to poker, was immensely popular during that time. Ironically, Nevada — a place many now associate with glitz and glamour of Las Vegas’s casinos — prohibited all forms of betting before 1869. It was not until after the Great Depression did states find it financially prudent to use money for lotteries for instance as substantial sources in taxable revenue. Standard casino gambling for the most part remained illegal throughout the country with the exception of a few states such as Nevada. By the 1980s, Native American tribes earned sovereignty from the U.S. Federal Government with the Indian Gaming Regulatory Act (IGRA), and began establishing and promoting bingo halls and other such gambling venues on their lands. Today, most U.S. states allow for some form of gambling with the exception of Hawaii and Utah. It is up to each state to decide which forms of gambling are legal. Vermont, for instance, allows for charitable gambling and lotteries, while Kentucky’s casinos only allow slots and bingo games. Dog or horseracing and racetrack betting is popular throughout the country. Online gambling legislation in the United States is something of a grey area. While not strictly prohibited, it is not exactly legal in most states. Nevertheless, online video poker, blackjack and video slots remain extremely popular, while fantasy sports leagues and the recent allowance for sports betting continue to see staggering revenues. A recent study in 2018 by the American Gaming Association claimed that total wagers made on sports betting could be as high as $95 billion annually, for both college and professional sports. Despite Puritan beginnings, it seems that the popularity of games of chance have soared to new heights in America. 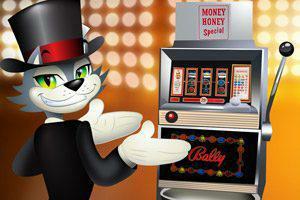 Like Americans, Aussies love to gamble as well, enjoying the pastime in its many forms. 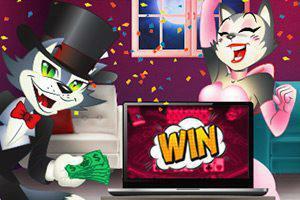 A recent study revealed that as many as 70% of Australian adults gamble at least once a year. The most popular forms are lotteries, scratch-offs and the ubiquitous ‘pokies’ that can be found all over the country – they are what Australians call slots machines. 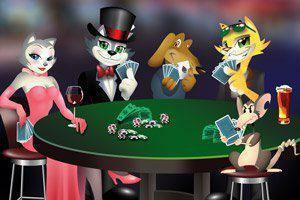 Many Aussies actually consider gambling as one of the most distinctive aspects of Australian life. In 1968, a state referendum was held by the Australian government to vote for the legalization of casino gambling. In 1973, the Wrest Point Hotel and Casino, Australia’s first casino was opened. 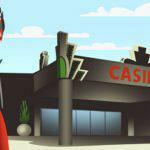 After a publicized event, the casino became an instant success, kick starting the countries casinos, and mushrooming into the multi-billion dollar industry that it is now. If you’ve ever found yourself “down under” you might ask yourself where the name pokies comes from. Experts aren’t entirely sure, but a best guess would suggest that when gambling was legalized in Australia, the first machines to be introduced to the pubs were video poker machines. Due to their popularity, the ozzies started calling them “pokies” for short, and once slot machines were introduced the name just stuck. Australian preferences have shifted over the years, and the current traditions lean toward both land-based and online gambling, with the latter becoming increasingly popular. Horseracing and sports betting on sports like football, cricket and rugby, are not only some of the first forms of gambling in the country, with roots in the 1700s, but are very popular. Furthermore, public opinions of gambling have improved over the years, largely due to the financial contributions to local economies and a proven record for creating employment. Commercial and legalized gambling institutions have increased revenues and helped created nearby businesses, from accommodations and dining. England has a long history of gambling, which dates back as far as the Roman conquest, but is likely much older. During the Middle Ages, a dice game known as hazard was very popular, and various forms of board and card games were adopted from Italy and France, the most notable of these being baccarat. King Henry VIII was an inveterate gambler himself, and the rich were known to wager their fortunes on anything from horse racing to jousting and hunting events and combat. By 1569, England’s first national lottery was established, which helped fund expeditions to the Americas throughout the 16th and 17th centuries. The National Lottery was ended in the early 1800s due to religious fervor. It would take nearly two centuries before it returned in 1994. During the beginning of the second half of the 20th century, gambling throughout the cities of England, and more specifically in London, was popular, but also brought about nefarious activities. The first casinos of emerged in the 50s and 60s, and the 1960 Betting and Gaming Act brought about vast changes in where and how participation in gambling activities could take place. Horseracing, Punto Banco baccarat, and roulette were extremely popular in casinos and throughout the racetracks of England. In 2005, the Gambling Act was reintroduced, updated and, among other things, advertisement of gambling became legal again. The internet boom of the nineties saw the emergence of some of the world’s first online casino operators based in England. This led to boosted revenues for both vendors and the British government, and since 2010, some 0.5% of the U.K.’s GDP comes from taxable gross gambling revenue to a figure of nearly £1 billion annually. Today, nearly 9,300 betting shops exist throughout the United Kingdom. 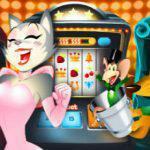 More than half of the adult British population gambles, and realm money bingo is one of the most popular games online. Are you looking for a popular scratch-off lottery style game online? Look no further! Treasure Tree is one of our most popular options, and is sure to have you winning big. For residents of Japan, gambling has long been associated with a sort of corruption of morals, and viewed negatively in the public light. Ironically, this does not mean that many of the citizens of Japan do not engage in gambling. This is evident in its single most popular game, pachinko. Pachinko is a pinball-type game with multiple balls; players try to score as many balls as possible and can exchange the balls for prizes. Players cannot win cash, but instead earn tokens, which can be, in a sort of clever loophole of the law, traded for cash. 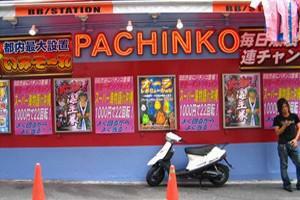 Pachinko parlors are so popular in Japan that they generate almost double the revenue of Japan’s auto industry. Their popularity dates back to nearly 100 hundred years ago at the beginning of the 20th century, and were designed to appeal to children, however, over time, they become increasingly popular among adults once winning money became possible. The Japanese are also enamored with forms of pari-mutuel and sports betting for horseracing, soccer, baseball, among others. More recently, the Japanese Diet passed a law allowing for the licensing of three integrated resort-casinos within the country. Experts estimate that this will help bring huge revenue to the country, creating a gambling market that could become “the third largest in the world.” Changing perspectives, especially regarding casinos in the country, could prove to be a huge boon for the country.